BEIJING - Chinese Premier Wen Jiabao said Monday that China will put cultural reform and development at an important place in the coming five years, and a quite long period of time after that. 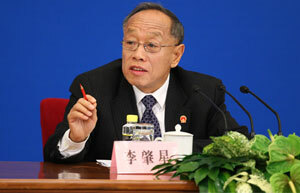 Wen made the remarks at a press conference right after the conclusion of the annual parliamentary session. Wen said China would step up institutional reform, build a team of workers with high qualities, and actively develop people-to-people activities to achieve cultural prosperity. He said cultural traditions are the soul of a country and China must fully carry forward its own traditions while at the same time learn from and refer to other civilizations in the world. China can only become stronger by being open and inclusive, Wen said. "The strengths of a country lie not only in its economic power, but also in the qualities of its citizens, the level of cultural development and ethic rules." China is a good example of completely inheriting 5,000 years of cultural traditions despite the twists and turns in world history, the premier said.